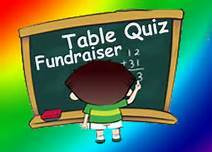 We are thrilled to announce that €1270 was raised at last Friday night’s Table Quiz Fundraiser, held in Monkstown Sailing Club. Our sincere and heartfelt thanks to all who attended on the night, as all of the participants were particularly generous when it came purchasing raffle tickets! Almost €1000 was raised on the night itself! So thank you for your incredible generosity! Thank you also to those who could not attend but supported by purchasing raffle tickets in advance! Your support, as always, is deeply appreciated! It was a thoroughly enjoyable night, thanks in no small part to MC & Quiz Master Christopher Granby. Thanks also must go to Vanessa Granby (Edith Hanna’s Mom) & Paula Clifford (Christopher & Lorcan Granby’s Mom) who were the event’s chief organisers, ably helped and supported by the wider Hanna/Granby family and friends. We are so appreciative of their support of the school and willingness to organise what was such an enjoyable, but most importantly, successful fundraising event. Míle Buíochas ó chroí! Our thanks also to the sponsors of the raffle prizes: The Bosun, Passage West Pharmacy, Titanic Experience Cobh, Tregaun and many more and congratulations to the lucky winners! Thank you all for your support! Míle Buíochas!